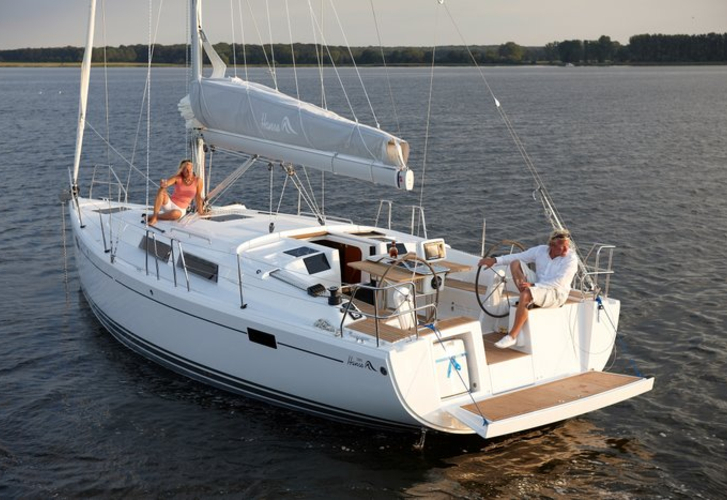 In 2012 has been built yacht Hanse 385 named Amelie. She is based in port Palma de Mallorca in the surrounding area of Palma De Mallorca in Balearics. You can board up to 6 passengers on the vessel Amelie. Layout of berths is 6. There are 3 bedrooms located under she's deck. Amelie has 1 WC with showers. Search for different boats by going to the section Yacht charter Palma De Mallorca. In this vessel is installed motor 27. With 10.90 m of lenght overall and 3.88 m of width Amelie provides enough space for comfortable sailing. Hanse 385 Amelie is equipped with: Heating, Radio / cd player, Bimini top, Anchor electric windlass, Dinghy, Autopilot, Gps plotter, Gps. . Caution accounts for 1800.00 EUR. Read about different yachts under this link: Yacht charter Palma de Mallorca.